Stickman Destruction 2 Annihilation is a sequel to the legendary game of survival, where to make incredible tricks, driving different transport and getting into different crash! The game is made in the best traditions of simulator games with ragdoll physics elements. Make incredible jumps and tricks and destroy the enemy! Your task is make the finish alive or dead! You will have to drive different vehicles plating for the stickman, again and again jumping and crashing into the walls! You are not allowed to stop, drive fast! Break and destroy more transport to win! Once you skip a beat, you lose the game! Stickman can ride a bicycle, a bus; drive a sport car and even a tank! Buy a new transport and create a real destruction! ★New heroes! For the first time ever – stickman -zombie! All tricks and made by professional stickman - bump artists! Don’t try this in real life! 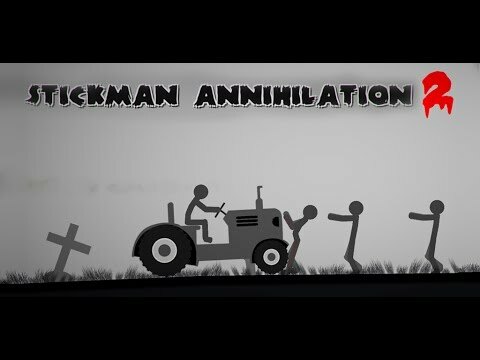 Stickman Destruction 2 Annihilation is a free game!